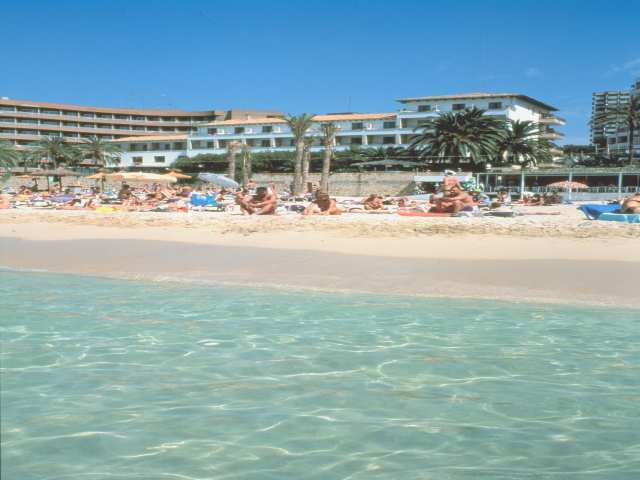 Az La Cala Hotel is located on the white sands of the Cala Mayor Beach in Majorca. This is a pleasant and quiet Mallorcan hotel offering comfortable accommodation that is ideal for couples and families looking for a beach holiday and only 5 km from the historical city centre of Palma. The swimming pool is set on a lovely terrace with views overlooking the tranquil sea and Cala Mayor Beach. For an unforgettable holiday in sunny Palma then Az La Cala Hotel is the perfect choice for you! Local tips: Cala Mayor is a great base for you to discover this beautiful Balearic Island. There is a bus stop only 50 metres from the hotel that runs frequently, therefore allowing easy access around the island. The heart of Palma offers an extensive choice of bars, cafs, restaurants and nightlife. The beach proves extremely popular at the weekends and you can hire sun beds, parasols and even pedaloes daily.